The comfort of having a companion. The security of a partner to grow and build with. We all long for that assurance. When you finally find that one man or woman who is just for you. The journey taken, the ups and downs of relationships, the ones that didn’t work. Then comes that perfect person, and before you know it, your best friend becomes your everything. Love fits perfectly in the equation. The feelings are not forced or rushed. They are true and nothing compares. Terrence takes us deeper into love’s challenges and triumphs, and makes us relive the beauty of finding “The One.” A magnificently constructed masterpiece! Climb into love’s comfy feather bed, snuggle up beside your companion and enjoy the sweetness of it all. Melt into the memories of the journey it’s taken before you and within you. Imagine that perfect person caressing your earlobe, whispering sweetly, “I love you, you are the one for me.” As you lye there you know the longing is over and love has got you on it’s mind-the pain of the past has vanished. You Are the One, is a faithful interpretation of the hearts beating glory, the wonders of sight and sound and the fascination of touch that both new and old lovers can appreciate. He sings of love’s suspense and the peace of its path as it grows and matures. You Are the One, is a perfect confession of love’s burning desire to be nourished and nurtured. Terrence Hamilton will engage you like a new lover. Songwriter, arranger and vocalist Terrence Hamilton was born and raised in Dallas, TX. Hamilton was a child prodigy who grew up singing and playing instruments at the tender age of five. By age twelve, he had already appeared in two television commercials. Hamilton left Texas after graduating high school to pursue formal music studies in Princeton where he was classically trained, and it was there he first found a larger audience. He sang and toured with multiple chorus groups including the gospel quartet One Spirit, under the direction of Ann Moss, aunt of Whitney Houston. 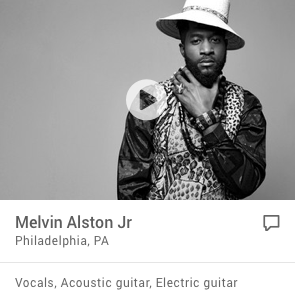 After completing college, he moved to Philadelphia, where he continued to write songs, perform and build a loyal following. 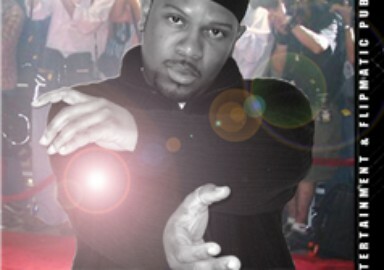 As an in-demand session musician, he met Troy Davis in 2000 where they collaborated on various music projects for various artists. His first studio album N Progress is scheduled for release in 2009. Terrence believes that music is what feelings sound like and that as an artist it is my responsibility to create those feelings and deliver them in a performance wholeheartedly and honestly. 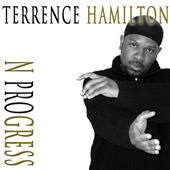  N Progress is T Hamilton" 100% + having penned, arranged, and sung every song on the project. Hamilton has been noted to say that some of the biggest influences are among the likes of Michael Jackson, Luther Vandross, Stevie Wonder, Babyface, and Peabo Bryson. Having been born into a musically inclined family, Hamilton recalls that there was never a moment where music was not part of daily life growing up in Texas. Whether leading songs for Sunday church service, rehearsing on Monday nights, playing lead roles in various school musical productions, or competing in high school state competitions, it (music) was a critical element in my development as a person. Hamilton credits his parents for providing a supportive atmosphere to nurture his gift, and has stated that music has always been his first true love.